Carcinoids are heterogeneous group of neuroendocrinal tumours. Relatively benign characteristics, slow progression, low metastatic potential and absence of endocrinal activity are typical for localization in duodenum. Type and extent of surgery depends on size and staging of tumour. 27 years old female patient with well differenced carcinoid in the second part of duodenum is presented. The tumour of size 5x3x2 mm manifested with abdominal symptomathology did not invaded muscularis propria. Scintigraphy did not demonstrated others pathologic deposits of somatostatin receptors. 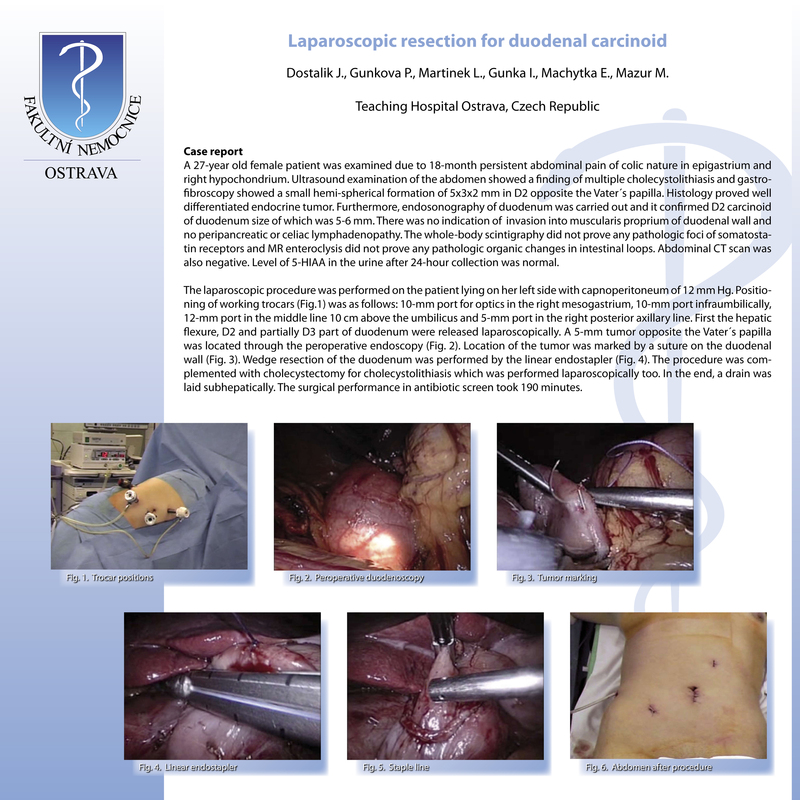 The wedge resection of duodenal wall was performed laparoscopically with peroperative endoscopic localization and marking of the tumour. Uneventful operation and postoperative course presents contribution of the miniinvasive surgery for specific duodenal lesions.